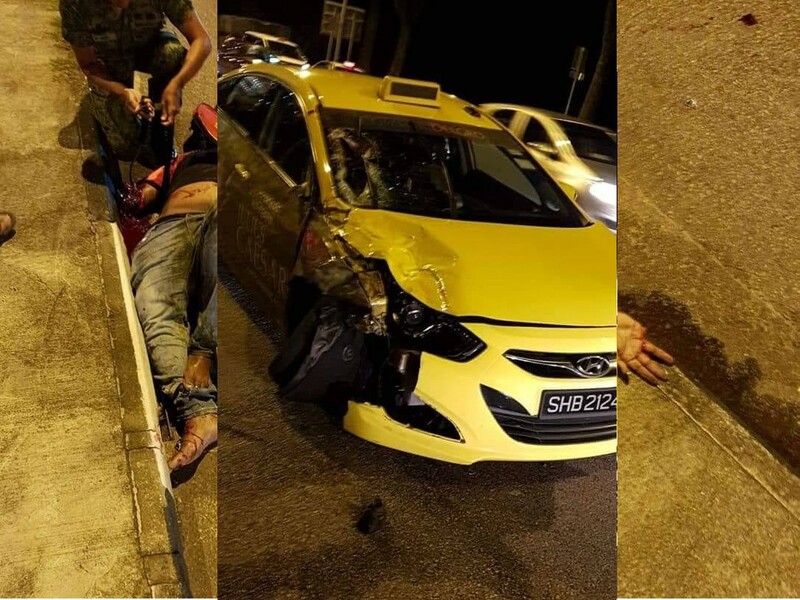 Photos of an accident have been circulating the internet of a motorist colliding with a motorcycle. 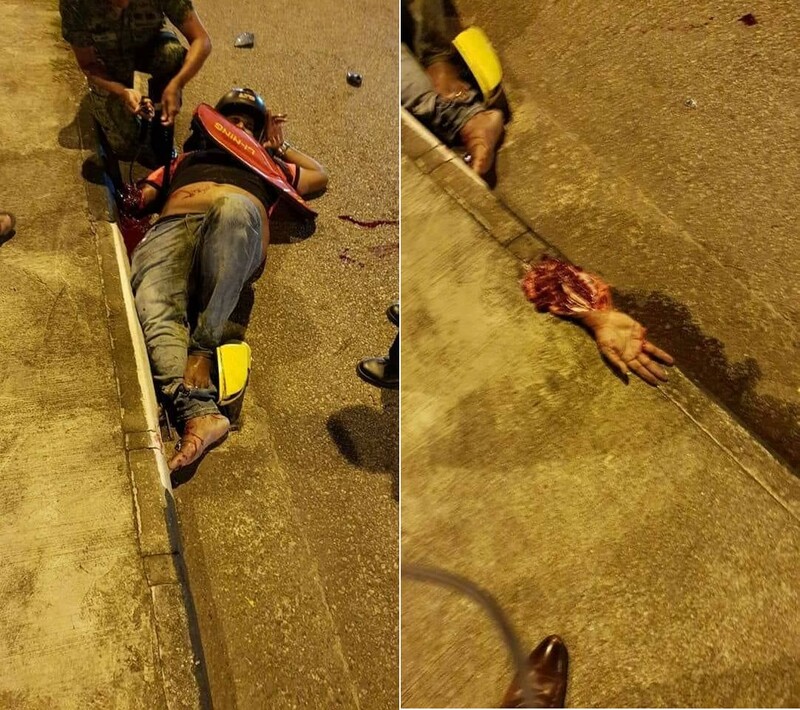 Photos of the man with his hand severed shows the impact point of the accident. A person was spotted tying down the arm to prevent further bleeding. The severed portion of the wrist to palm area can be seen meters away from the motorist. Click here to see the full photo. Previous ArticleTAKE GRAB BUT DID NOT PAY! I THINK HE WANT FAMOUS? Next Article INTERIOR DESIGNER TAKE DEPOSIT AND NOTHING DONE!